The Professional Standards Division is responsible for providing several critical services that support the mission and operations of the Sheriff's Office. 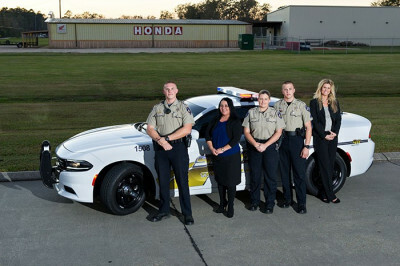 We are committed to providing essential support services to the Tangipahoa Parish Sheriff’s Office and it’s personnel by maintaining high standards of ethics and professionalism in the areas of accreditation, recruitment, selection, background checks, public information, training (personal and professional development), and administrative investigation. We pledge to provide these services with integrity, courtesy and operational efficiency. During 2015, the Sheriff's Office achieved its goal and became nationally accredited by the Commission on Accreditation for Law Enforcement Agencies (CALEA). The accreditation program administered by CALEA requires agencies to comply with state-of-the-art standards in four basic areas: policy and procedures, administration, operations, and support services. The Sheriff's Office met over 200 professional standards and was awarded certification in July 2015.